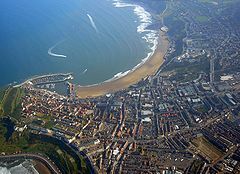 Scarborough was named after the town on the East Coast of England where it was built in 1782. She was a 430 ton, three-masted cargo ship; 111 feet 6 inches (34 m) long and 30 feet 2 inches (9.2 m) wide. 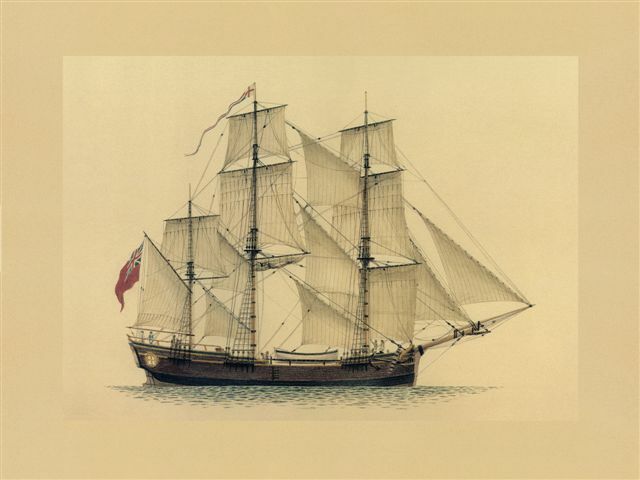 The owners Thomas, George and John Hopper (or Hooper) charted her to the Admiralty, and after transporting convicts to New South Wales, Scarborough was under contract to work for the East India Company. On the voyage to Botany Bay, Scarborough was captained by Master John Marshall with Surgeon Dennis Considen and 1st Lieutenant of Marines Robert Kellow. 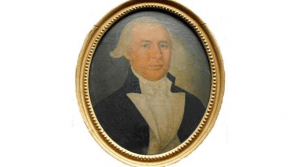 John Easty, private marine 55th Company off the Scarborough, kept a journal that is one of the most valuable records of events and personalities of the First Fleet and the early years in the colony. Being the second largest vessel in the fleet Scarborough carried 208 male convicts, who travelled by wagon to Portsmouth for loading, many coming from the Ceres and Censor Hulks. Shortly after the Fleet sailed, convicts Philip Farrell and Thomas Griffiths aboard Scarborough were suspected of an attempted take-over of the vessel. Both were transferred to Sirius were they received 24 lashes, before being transferred to Prince of Wales. Apart from Farrell and Griffiths the other convicts gave little trouble during the long voyage to Botany Bay. John Easty described their arrival: saw severall fires made by the Indians on Cape Banks. Saw a great many Indians on Point Solander. Came down to the shore and shouted att us and held their weapons over their heads and shaked them at us. John White expressed the general feeling of pleasure and relief when the whole fleet was at anchor on Sunday 20 January 1788. Sunday 27 January, the Scarborough sent a longboat with a party of convicts ashore to cut down trees and clear the ground, and landed five marines and one hundred convicts. Stores were landed – a forge, a pair of bellows, nine irons bars, a bundle of smith’s tools, a box of splitting wedges and a dozen cross-cut saws. Arthur Bowes described the activities on the 28th Two boat loads more convicts from the Scarborough and half the marines landed. Then later on The Scarborough disembarked the remainder of her convicts and all but eleven of the marines with their luggage. She landed a bundle of smith’s vices. On Wednesday 13th February there was a birthday party in the Scarborough for Captain Marshall. Arthur Bowes joined in, but Ralph Clark dined with William Collins. George Worgan recorded the clearance of the ships on 25th March: Today, the Lady Penrhyn, Charlotte and Scarborough, being cleared of the stores for the settlement, where discharged from Government service, and will sail for China as soon as they can fit for sea, the East India Company having, before they left England, engaged them to go their for a cargo of tea. On Sunday 4th May, William Bradley stated that the Scarborough and Lady Penrhyn dropped down the harbour and the captain of the Scarborough left his Newfoundland dog with Mr Zachariah Clark. Scarborough sailed for China on the 6th May, followed by Charlotte on the 8th. Scarborough joined up with Charlotte at Lord Howe Island for fresh supplies of fruit and vegetables, as the men on both ships were showing signs of scurvy. Also at the Island were Captain Ball in Supply and Lady Penrhyn on her outward voyage. 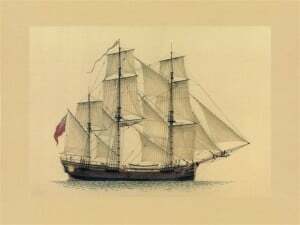 On the 18 May Scarborough and Charlotte were replenished and set sail for Norfolk Island as Captain Gilbert in command of Charlotte, had intended to land on the island, if the weather permitted, in order to cut spars for masts and yards. As the sea was running very high, Captain Gilbert informed Captain Marshall, that it was advisable not to get the long boat out. Captains Marshall and Gilbert had agreed before they left Port Jackson, to keep company on the return passage to Canton. The Captains kept in close contact during the voyage through signalling and the use of their yawls (jolly or long boats) for discussions relating to the voyage, discoveries, and the health issues of the men. Sailing on passed Norfolk Island the two ships ventured in the Central Pacific. They encountered groups of Islands which were then largely uncharted. Mapping and naming of Islands began under the direction of Captains Gilbert and Marshall. A chain of islands were seen on June 21. The southern island of the chain was named by Captain Marshall, Gilbert Island; the middle Captain Gilbert named Marshall Island, and the northernmost, Knox Island. To the large island with the cluster, Captain Gilbert gave the name Matthews’s Island, in the honour of the owner of the Charlotte; the bay he called Charlotte’s Bay; the fourth point, which terminates the cluster of islands, he named Charlotte’s Point; and the north point of the island, which forms the bay, Point William. The islands became known as the Gilbert and Marshall Islands. Although the Captains did not land on the islands, there was an exchange of items between them and island people who paddled out to the ships in their canoes. The Gilbert and Ellis Islands group of 16 islands now form the Republic of Kiribati. The Marshall Islands consists of 29 atolls each made up of many islets and five islands. In total there are approximately 1,225 islands and islets. The total land area is about 70 square miles (181 square kilometres), with the mean height of the land about seven feet (two meters) above sea level. 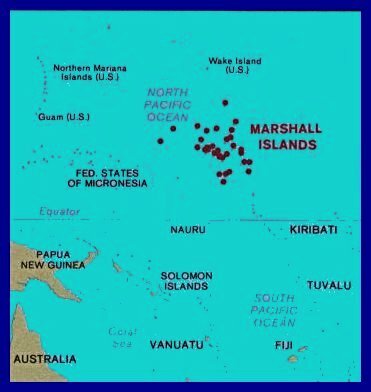 In July Captain Gilbert proposed to Captain Marshall that they secure a passage to China by sailing round the Bashee Islands, as he was convinced that the west monsoon was upon them. At the end of July Captain Marshall was informed that the Island of Tinian, according to Commodore Wallis’s chart (who had visited the Island previously aboard Dolphin) was in sailing distance of 20 leagues. On 18 July, Captain Marshall sent his boat to inform Captain Gilbert that his brother was taken dangerously ill, and requested that he come aboard. Captain Gilbert went immediately, carrying with him such medicines and other things as needed, as neither ship had a doctor aboard. Unfortunately Mr Marshall had languished for some time with scurvy, and as they were unable to land for fresh fruit, died before Captain Gilbert could reach the ship. The Island of Saipan was sighted on 1 August; Captain Gilbert wrote, the sight of the land most grateful to our eyes, for able to procure refreshments we so much stood in need of. The scurvy had now arrived to such a height among the crew that 11 were unable to move and the remaining part were so exceedingly feeble from the effects of it as scarcely able to navigate the ship. It took them a further two days sailing before they were able to send a jolly boat ashore for refreshments. Later that day the south most part of the Island of Tinian was sighted. Charlotte and Scarborough were at the Island of Tinian from 3 to 7 August which was not long enough for the recovery of the sick and for obtaining sufficient supplies of oranges, coca-nuts, cabbages etc. They had to set sail when heavy squalls set in; Charlotte was fortunate to clear the bay, and not come to grief on the reef. On 9 August Scarborough’s Chief Mate informed Charlotte that Captain Marshall was seriously ill and thirteen crew members were unable to do any duty and the remaining part was exceedingly weak and feeble from the fatigue suffered during the gale. Captain Gilbert came to the resolution of making their way to Macao, which is a city situated on an island at the entrance of the river Canton China. In mid September, Scarborough had worked her way up the river of Canton with a pilot aboard, to the small Chinese town of Whampoa; a trading port for the different nations to take on their cargoes. Arthur Bowes Smyth aboard Lady Penrhyn noted in his journal on 23 October, The day after our arrival (in Whampoa) Capt. Marshall of Scarborough came on board & dined on board us. The joy every breast felt upon meeting again so much sooner than we expected may be better conceived than express’d; but we learnt from him that since we parted at Ld. Howe Island he had lost his Brother, his Boatswain & s Sailor by Sickness. Bowes Smyth also recorded the 45 English ships in the harbour of Whampoa in 1788 the three First Fleet ships were Scarborough, Lady Penrhyn and Charlotte from London and Botany Bay. The painting of Captain John Marshall was done by a native artist in Canton (now Guangzhou) in 1788. Scarborough with Lieutenant Watts as a passenger, and Charlotte sailed for England on 17 December. Letters were waiting for Lady Penrhyn in St Helena when she arrived in May 1789, written by Captain Marshall and Lieutenant Watts informing them of the fate of several of the First Fleet ships. After 13 months voyage time Scarborough dropped anchor at Gravesend on 1 June 1789 followed by Charlotte four days later. On 30th May The Diary or Woodfall’s Register reported the arrival of Scarborough from Canton. John Marshall captained the Scarborough on a second voyage to Sydney Cove, having been hired by the new contractors soon after his return. In November 1789, many of the 259 male convicts coming aboard were in poor health and did not survive the voyage; this combined with an attempted seizure of the ship by the convicts, deterred Marshall from any further voyages of transportation. 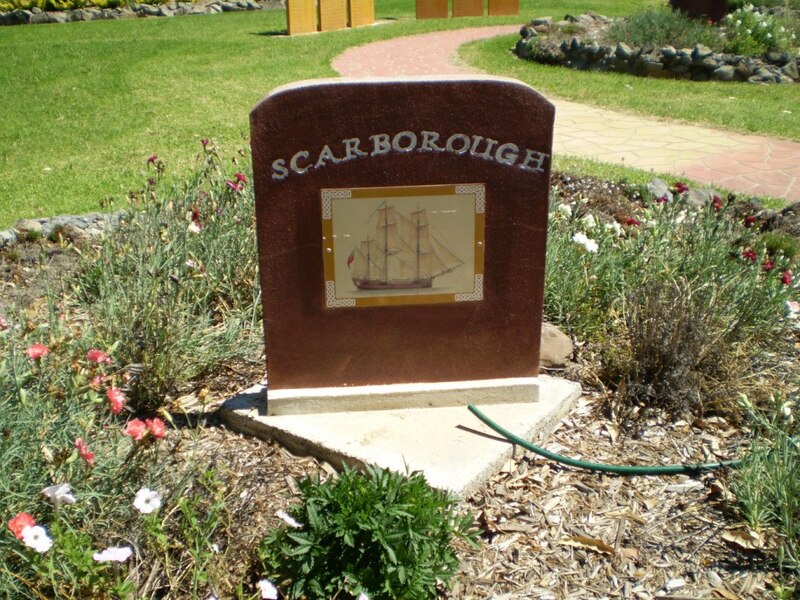 There was not a single death amongst the convicts on the First Fleet, but 73 convicts had died by the time Scarborough arrived in Sydney Cove on 28 June 1790. An instance of sagacity in a dog occurred on the arrival of the Scarborough, too remarkable to pass unnoticed. 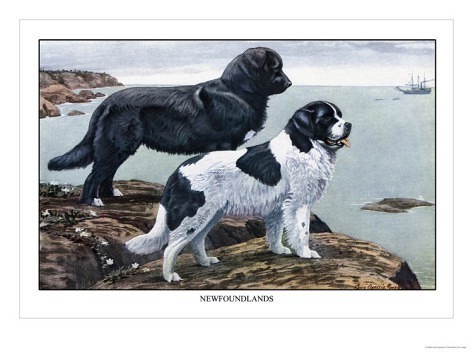 Mr Marshall, the master of the ship, on quitting Port Jackson in May 1788, left a Newfoundland dog with Mr Clark (the agent on the part of the contractor, who remained in the Colony), which he had brought from England. Scarborough sailed for Canton on 8th August, arriving safely in London some-time between August and October 1791.
was born in Ramsgate, Kent, England in February 1748. Having been bound apprentice at the age of ten, he spent his life at sea. In 1784 he replaced Captain Scordale as captain of Scarborough, a position he held until 1792. 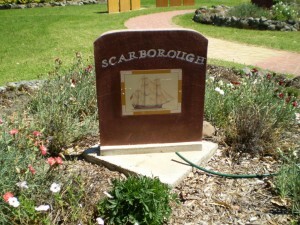 John and Elizabeth Macarthur were transferred to the Scarborough on its second voyage. Elizabeth Mcarthur wrote that Marshall had a wife and three children in England of whom he speaks in the tenderest terms. She also described him as a plain and honest man who treated them well and amused them with tales of the First Fleet voyage and early days in the Colony. John Marshall continued his life at sea, reputedly being wounded twice in battle. He died in 1819 at the age of 71. Under a new master and with major repairs Scarborough was employed on the London to St Petersburg route. With changes in ownership and masters, Scarborough was employed on the London to St Vincent (Caribbean) run and the London-West Indies /St Vincent run. The last entry for the vessel can be found in Lloyd’s Register for 1805, twenty-three years after it was built. The fate of the vessel, whether it was broken up or lost at sea cannot be ascertained.